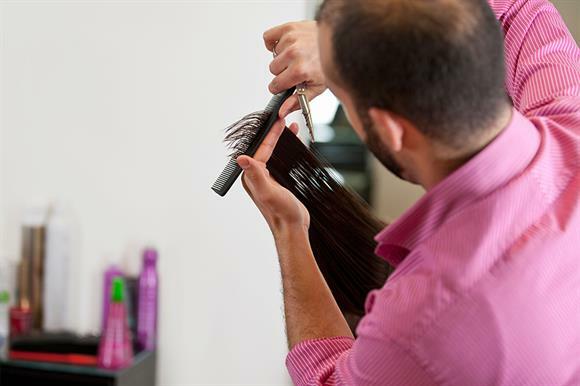 Charities are less trusted by the public than hairdressers, scientists and television newsreaders, new research indicates. Research with a representative sample of more than 2,000 UK adults commissioned by the charity Pro Bono Economics found that 26 per cent of respondents said they trusted charities compared with 28 per cent for newsreaders, 45 per cent for hairdressers and 52 per cent for scientists. Participants were asked to choose which from five possible responses best described their attitude towards 20 professions or sectors. Possible responses were trust, cautious of, suspicious of, distrust or hate. Doctors came out top with 69 per cent of respondents saying they trusted them, followed by teachers on 56 per cent. Politicians scored lowest, with 4 per cent of people saying they trusted them. Charities ranked higher than members of the clergy, who were trusted by 23 per cent of respondents, civil servants, on 19 per cent, and economists, on 14 per cent. Pollsters were trusted by just 9 per cent of those surveyed, slightly ahead of journalists on 7 per cent. The survey found that 45 per cent of respondents said they were cautious of charities, 18 per cent were suspicious of them and 10 per cent distrusted them. Only 1 per cent of people said they hated charities, well behind social media stars and politicians, who were hated by 14 per cent and 13 per cent of respondents respectively. Julia Grant, chief executive of Pro Bono Economics, said charities should look to rebuild trust by demonstrating their impact with independent evidence. "They are accountable to the public, who are the people who support them, so they need to communicate their impact in a way that engages with the public as stakeholders," she said. "Essentially, charities’ future stability and sustainability relies on their capacity to prove the importance of their work." But Aidan Warner, external relations manager at the National Council for Voluntary Organisations, said data was not the most important factor in improving public trust in charities. "The reality is that most people don’t think like economists," he said. "They make decisions on feelings, not data. "Our research suggests that the public welcome some basic figures from charities, but they shouldn’t be seen as a solution to rebuilding trust. Acting with integrity and communicating in compelling, human language will do more to promote trust in an organisation than any number of spreadsheets could."